These women have fought, organized and protested the inequality they saw around them. 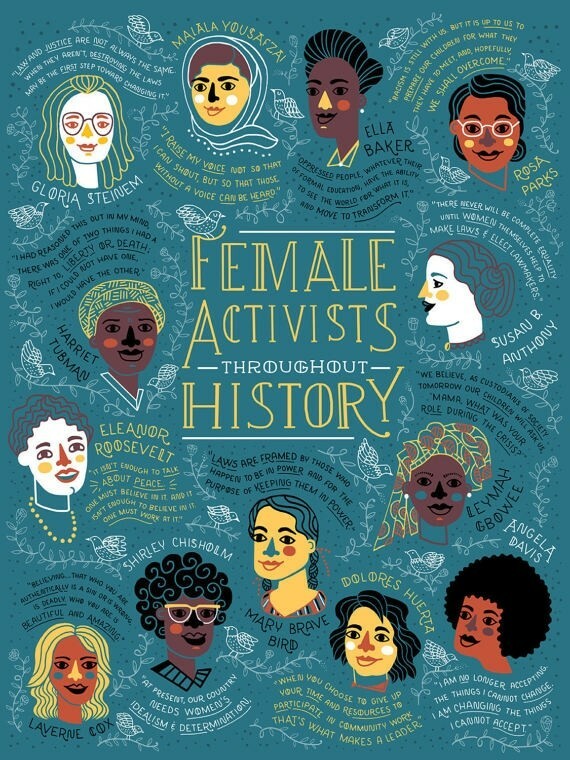 This poster celebrates how they helped to create a better future! 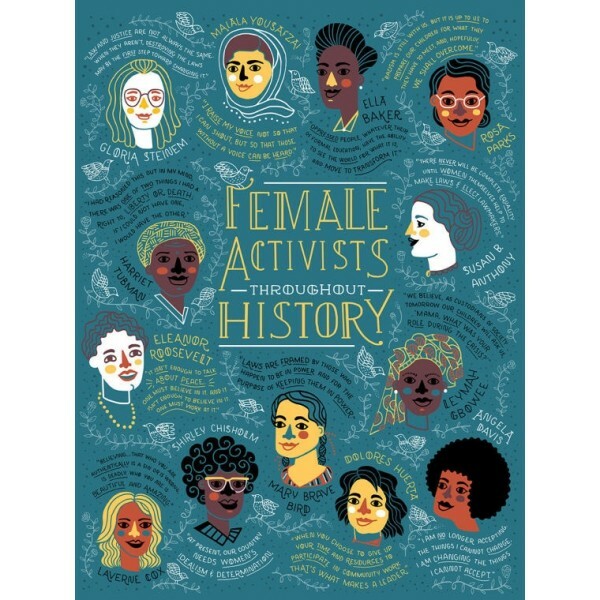 This image by Rachel Ignotofsky, the author / illustrator behind Women in Science and Women in Sports features thirteen inspiring activists: Angela Davis, Dolores Huerta, Mary Brave Bird, Shirley Chisholm, Laverne Cox, Eleanor Roosevelt, Leymah Gbowee, Susan B. Anthony, Harriet Tubman, Rosa Parks, Ella Baker, Malala Yousafzai, and Gloria Steinem. The poster is 18X24 and is printed on high-quality paper with archival inks.